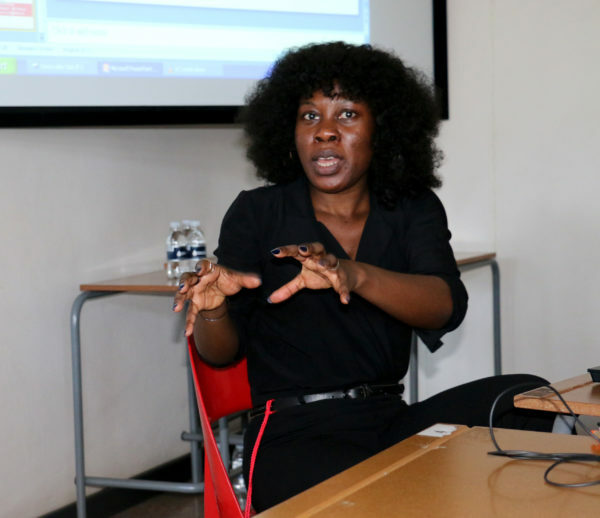 Nigerian investigative journalist Ruona Meyer shared her experience of uncovering the illegal codeine trade in Nigeria at the African Investigative Journalism Conference (AIJC) held at Wits University. Meyer, a graduate of the Wits journalism programme, worked in collaboration with the BBC’s Africa Eye in producing the documentary, Sweet Sweet Codeine. It has been screened across the world in multiple languages since its release on April 30, 2018. “[The documentary] has just been nominated for the Global Investigation of the Year at the British Journalism Awards,” said Mia Malan, an editor from the Bhekisisa Centre for Health Journalism, who introduced Meyer. The documentary led to cough syrup imports and production being stopped as well as changes in government policies such as the criminalisation of the distribution of codeine. The documentary also sparked debates around who should be held to account for the crisis. It seemed as though the rapid response of the government provided effective solutions, with the announcement of a recall of 2.4 million cough syrup bottles on July 30. But Meyer said the issues related to codeine addiction were far from gone as the demand for the drug on the black market had increased. Meyer explained the need for greater accountability of pharmaceutical companies, drug control agencies and the government to solve the codeine crisis. At the moment codeine addicts are treated like criminals. The audience was shown a clip of the documentary in which Meyer filmed the addicts being arrested and chained to prevent them from harming themselves and others. Meyer believes the criminalisation of consumption of codeine does not solve the issue of addiction for the victims. She says they should instead be offered treatment and rehabilitation.